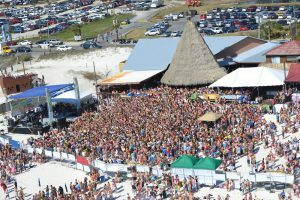 Collegiate Marketing Group Produces Beach Bash Music Fest in Panama City Beach, FL. Panama City Beach, Florida became the Spring Break Capital 20 years ago for its easily accessible 27 mile beach front, large open air venues, and hospitable accommodation service. The small beach town quickly developed a reputation for its party scene, including the Beach Bash at Sharky’s – a weekly event that promoted getting together with a few thousand fellow spring breakers for some fun, sun and music. Almost two decades later, the Beach Bash – although still a staple event – needed a re-fresh. A post Spring Break meeting determined that Collegiate Marketing Group (CMG) would jump on board immediately and begin working towards giving the 2013 event it’s required fine-tuning. The CMG team began by re-branding the party as the Beach Bash Music Fest – a daytime beach event that would feature the largest stage on the beach and various music acts to perform to massive crowds each week in March. CMG’s campaign to restore this as the “biggest daytime event in Panama City Beach” began first by luring major sponsors as partners. CMG sold the concept of branding the largest stage on the beach to Joose – a malt beverage brand looking to gain some much wanted added exposure among its key demographic. From there, CMG obtained marketing and sampling rights on behalf of other brands including Mountain Dew’s new KickStart Energy drink, Rum Chata, Axe Body Spray, Gildan, and Rider Sandals. Next, CMG’s events team began booking the entertainment and chose EDM artists Manufactured Superstars and DJ Pressure along with country music rising stars Florida Georgia Line as the headliners. 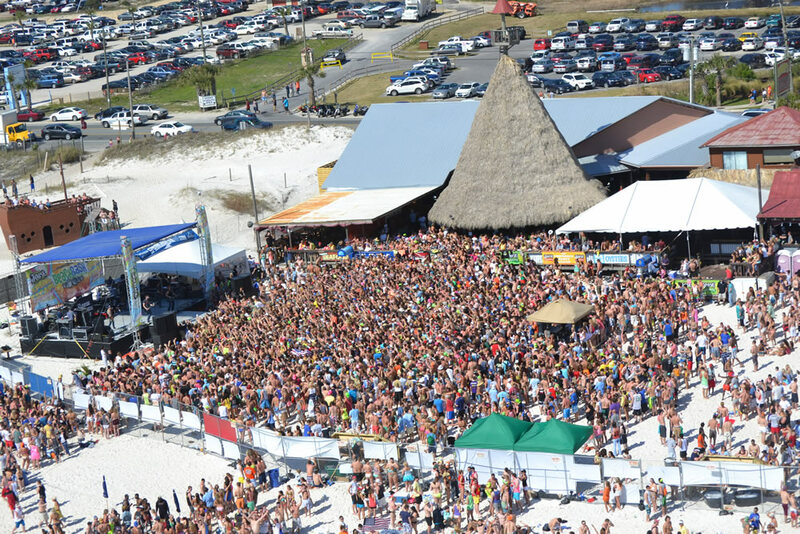 It’s more than safe to say that the 2013 Spring Break Beach Bash Music Fest events were a resounding success having average attendance numbers of over 7,000 students. For more information on CMG and how your company can utilize the promotion and events team, please visit www.cmgmediaagency.com.